"Every night, I imagine that I'm walking those streets home, & I know every step of the way, & I whisper in her ear, 'I'm here.' 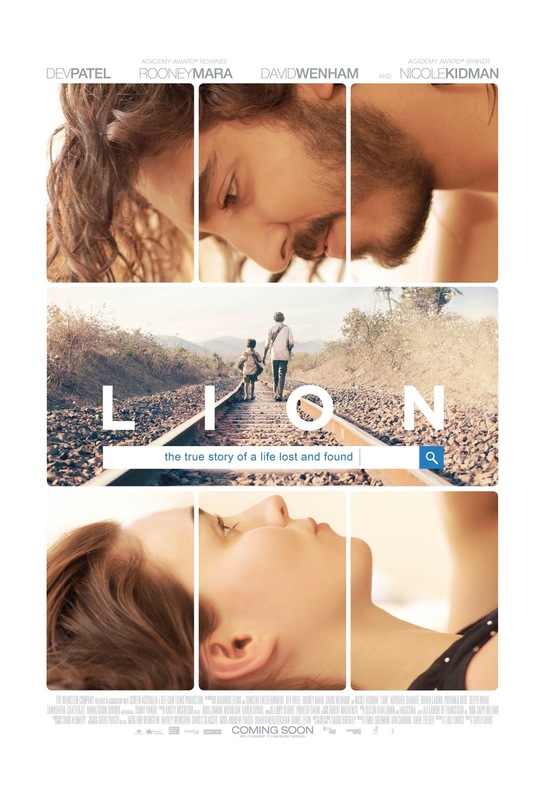 " That's an emotional quote from Dev Patel in Lion, an absolutely amazing film. The film is based on the 2012 book A Long Way Home by Saroo Brierley, which was based on his true story. Patel portrays Brierley (also portrayed as a child by Sunny Pawar), who was born in India. In 1986, at the age of 5, Saroo went with his older brother, Guddu (played by Abhishek Bharate) to go from their village of Ganesh Talai to a nearby city to help lift bales of hay. That night, Saroo falls asleep at a train station in the nearby city, while Guddu went to check on the worksite, saying he'll be right back. After waking up, he is alone, & he goes on a train, believing Guddu is on it. He falls asleep on the train, & when he wakes up, he finds himself on a train, from which he can't escape. He ends up in Calcutta, 1,000 miles away from home. When he gets there, he can't communicate with anyone (Saroo speaks Hindi, Calcutta is mostly Bengali-speaking), & he ends up at an orphanage. Although they have put him as missing in a newspaper that reaches 15 million people, no one has replied. Believing that he won't be reunited with his family, they arrange for him to be adopted by an Australian couple, John (played by David Wenham) & Sue (played by Nicole Kidman) Brierley, who live in Hobart, Tasmania. 25 years later, Saroo is a fluent English speaker with an Australian accent, about to go into hotel management. At a seminar, he meets Lucy (played by Rooney Mara), whom he becomes smitten with. After the seminar, Saroo & Lucy go to a party, where a few other people from the seminar, some Indian, have gone to. At the party, he says at first that he was from Calcutta, but then tells them his story. One person there mentions Google Earth, a new site at-the-time allowing people to search the world through satellite images, & suggests using it to find his hometown & search his way back from Calcutta to Ganesh Talai through all of the train routes out of Calcutta. Saroo then embarks on a search for his way back home, spending hours trying to find his way home. The cast is spectacular, with Patel's performance being his best yet. Garth Davis's direction is phenomenal. Luke Davies's screenplay is brilliant. The film editing by Alexandre de Franceschi is excellent. The cinematography by Greig Fraser is astounding. And the film score by Dustin O'Halloran & Hauschka is amazing. This is one of the year's best films.